It’s 2 PM. Do You Know Where Your Backhoe Is? Managing your company vehicles and equipment, especially across multiple job sites, can consume a lot of your valuable time. You either have to visit each site or track down your staff to get an update – one that your client might be requesting. Or you’re not sure that your efficiency is maximized on your projects. What if I told you that there is a better way? You have probably heard about the Internet of Things from the news. Basically, it is about connecting all types of devices through the internet to the consumer so that they can better manage their time and resources. Businesses are also starting to harness this connectivity and data as a way to streamline management, prevent and recover loss, and increase profitability.Construction companies can certainly benefit from applying the technology too. The monitoring systems, installed devices and software working hand-in-hand, help you manage your equipment inventory and fleet more efficiently. They provide real-time location and usage data. With this information, from solutions such as CalAmp’s FleetOutlook® for Construction, you save time by getting an instant update whenever you, or your client, needs it. This is particularly useful during dispatch and delivery – especially if you rent the equipment. 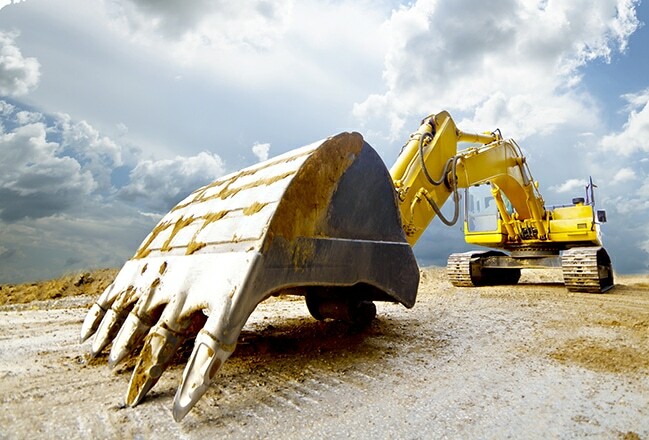 Equipment breakdowns can ripple through an entire project, causing a slowdown or even halt until a replacement is available. With Fleet Outlook®, you are able to pull up a map of your equipment so you can find the closest skid steer loader or dump truck to bring over to the site. Even better, pre-empt the breakdown by using the data to know when you need an oil change, belt replaced or other service done. It’s also useful for allocating your resources where they are needed. See an excavator not in use? Move it to another project. (This keeps your operators busy too). With these equipment reports and improved use efficiencies, you could realize increased profitability from bidding jobs more accurately, reducing maintenance costs, providing actual use reports with billing statement, and more. How would you use this technology in your business? p.s. Join us on July 27th for a free overview of CalAmp’s construction solutions. Register here. *LoJack® unit activation is contingent upon the vehicle being located within LoJack’s coverage area that spans counties across 29 states throughout the US and the District of Columbia. You may find LoJack’s coverage areas at www.lojack.com/coverage or by calling 1-800-4-LoJack.